"Sparrow Garden Journal" Punch Pattern Packet by Kanikis Prims & Whims. This pattern comes ready to punch. The outline drawing is already reversed for you. 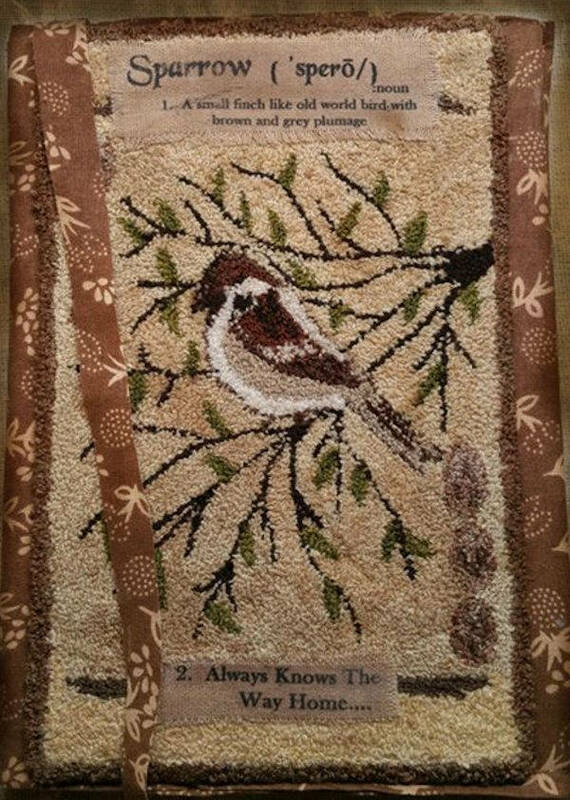 To rug hook this pattern instead, just reverse it back to normal, then enlarge as needed. The finished size is approx. 6" x 8", depending on how much of a border you are punching with.